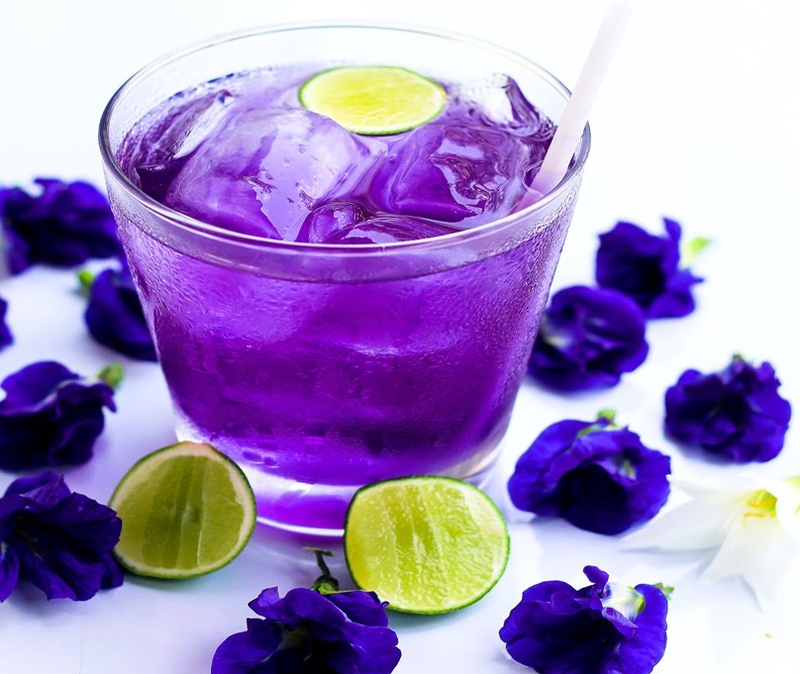 NamDokAungChan is a Butterfly pea juice. It is one of the healthy drinks, helping to decrease a chance for beriberi disease. Sugar is usually added.